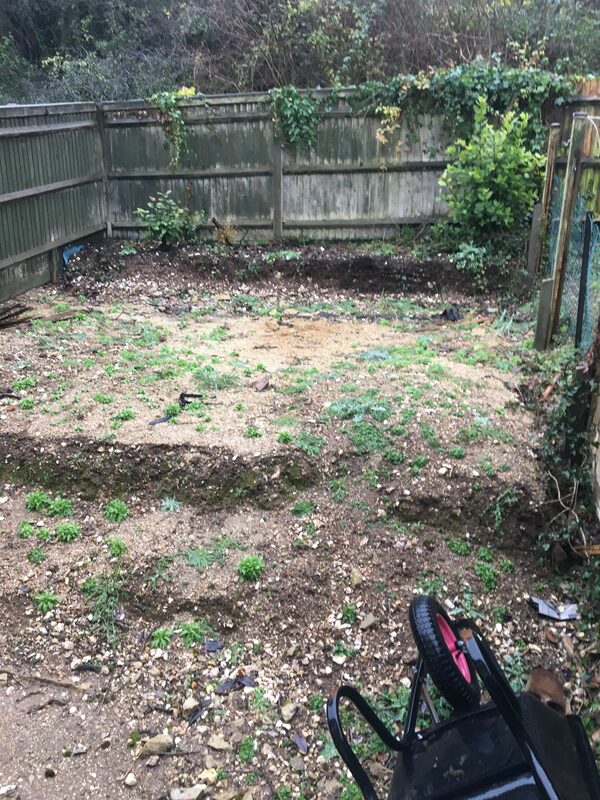 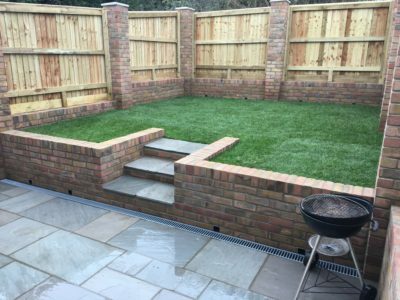 A full garden makeover. 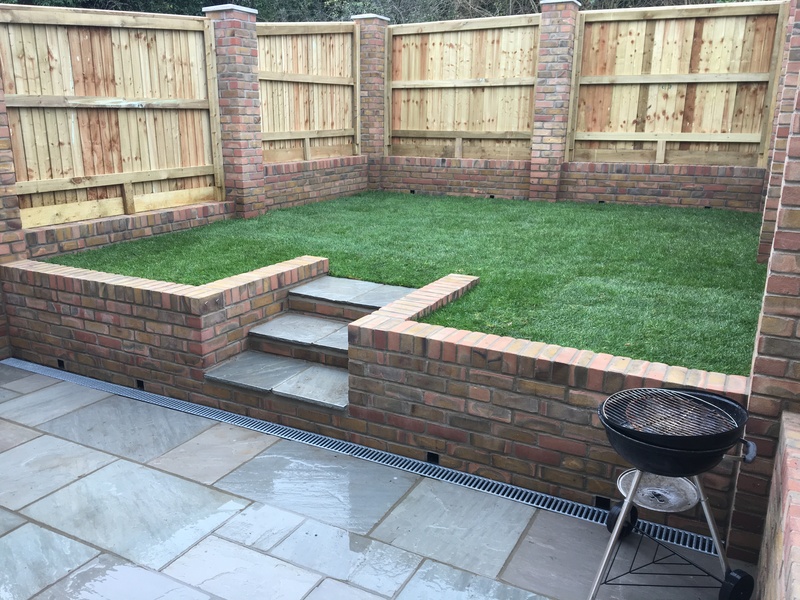 We cleared the garden and built the retaining walls, piers were built to install the close boarded fence between. 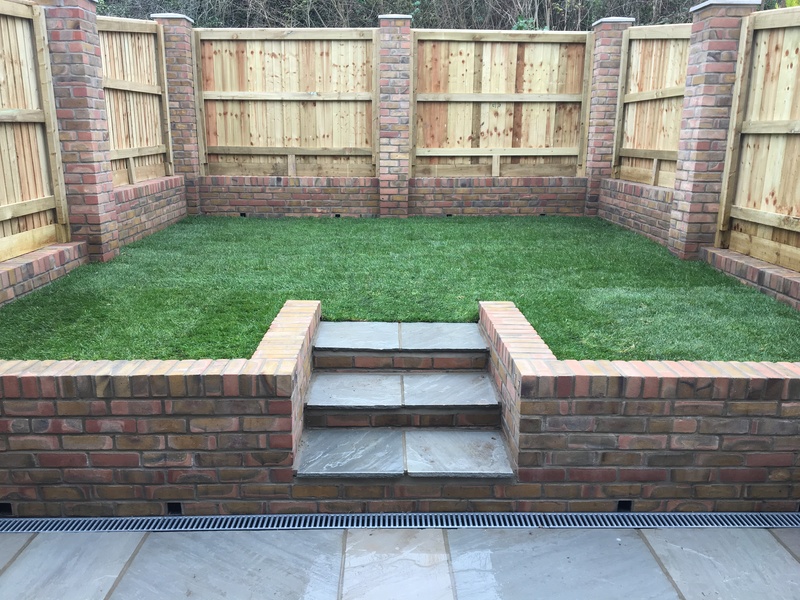 Turf was laid on the upper section and a grey sandstone patio laid on full mortar beds on the lower section.